Here at VIP, we have a wide range of capabilities to meet our customers’ metal fabrication needs. We specialize in precision sheet metal, CNC machining, and welding fabrication. We are a great fit for companies that require precision parts and complex assemblies while expecting quality. We also offer engineering, mechanical assembly, metal finishing, and local shipping services as well. To learn more about our services, review capabilities below. Vista Industrial Products welding department can handle the most complex TIG and MIG weldments. Our team of welding technicians can certify to any standards you may require. 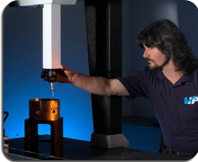 Continued investments in welding technology assure your tolerances can be met every time. Read more..
You can take a look at our Equipment List too. Need a Quote or have a question? Click here to contact us!